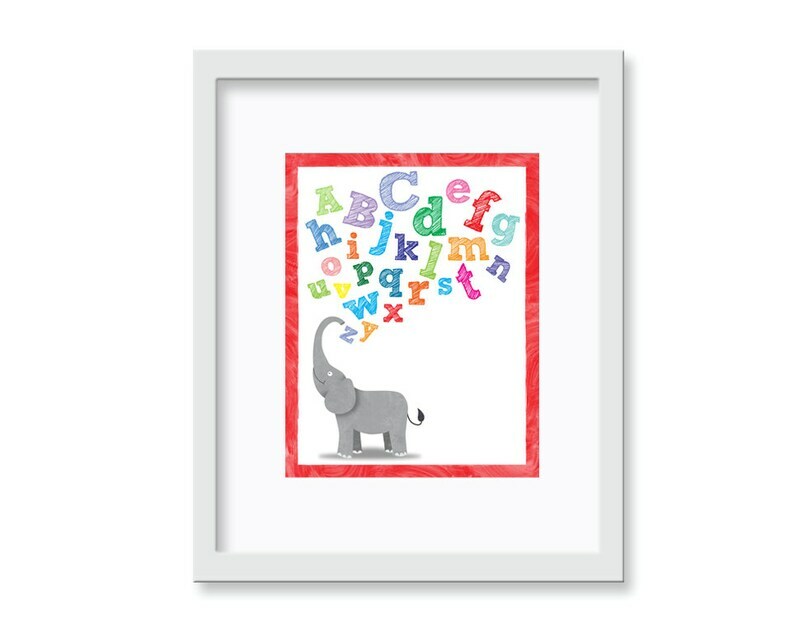 This Alphabet Soup elephant Print in a primary color scheme is perfect for any nursery, playroom, or baby shower gift! Ready to ship. Artwork is signed and dated on the back, then packaged in a cello sleeve and rigid mailer to ensure safe arrival.